Sanitary napkins are a woman's regular necessity. They are something very personal and intimate and hence have to be chosen very wisely with extra care. Hygiene is a must and for a woman, the word itself starts with a 'sanitary napkin'. I feel there's no need to shy away from talking about periods and knowing the necessary facts. There's endless choice in Today's market when it comes to sanitary pads. Stayfree and Whisper have been ruling for years now but not anymore. With brands like Sofy who offer better quality and are a more 'easy on pocket' option, hitting the market, the predominance of Whisper and Stayfree is dissolving. 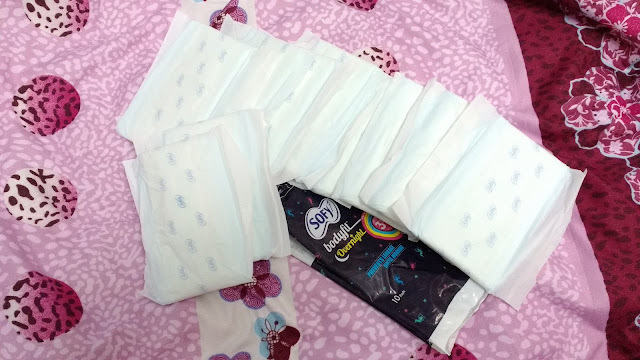 I have this thing for experimenting with products and the same goes with sanitary napkins - I have used them from a LOT of brands, some even imported ones which my aunt who lives abroad spoiled me with.Whisper choice and Stayfree Ultra advanced have been my all time favourites but recently even those are not fairing well. I am experiencing changes in my mensuration cycle resulting in very heavy flow especially during the nights. This is the reason I reached out for better options and I am glad to have come across Sofy Bodyfit overnight pads. Very long and wide. perfect for night times and during heavy flow days. I have the whole bed for myself so I sleep like I am participating in a freaking marathon. This is why I choose sanitary which are super long and huge. Sofy is just that! It ensures I don't have to worry about sleeping ugly. Super absorbing. I HATE leakages and this napkin has double absorbent core. It has a drying formula. This makes sure you don't get rashes. It also has a flexi-absorb system which makes the napkin turn-twist with your body when you are sleeping and keeps it in its original shape. They are sturdy with great glue quality which keeps the pad in place. They are thin and feel feather light too. This is a real boon as they don't show if I decide to wear a skinny pair of pants or leggings. the pads are super soft and made of cotton which makes it much more comfortable. 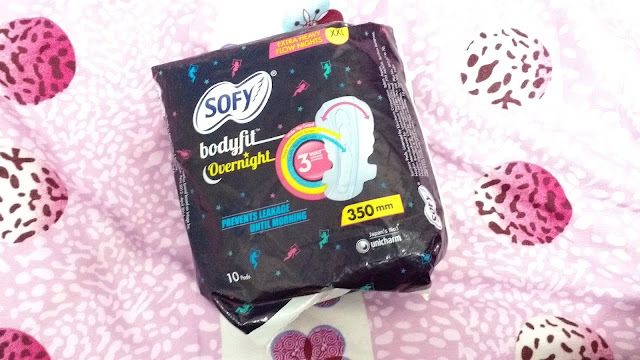 Thankfully, the Sofy bodyfit overnight or #SofyOvernight pads are all of the goods put together under one label. 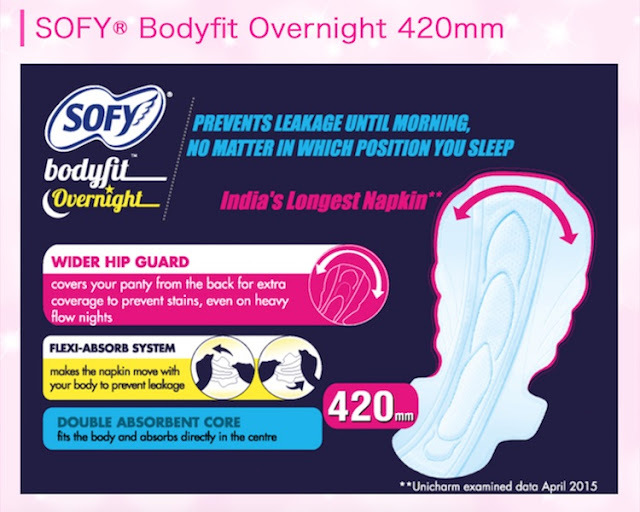 Infact, Sofy is famed to be India's longest sanitary pads. Isn't that simply cool?! They are made up of the softest cotton and at the same time the top cover feels very dry and feel super comfy. I am in love with their absorbing power and with Sofy, one doesn't have to worry about leakage at all! 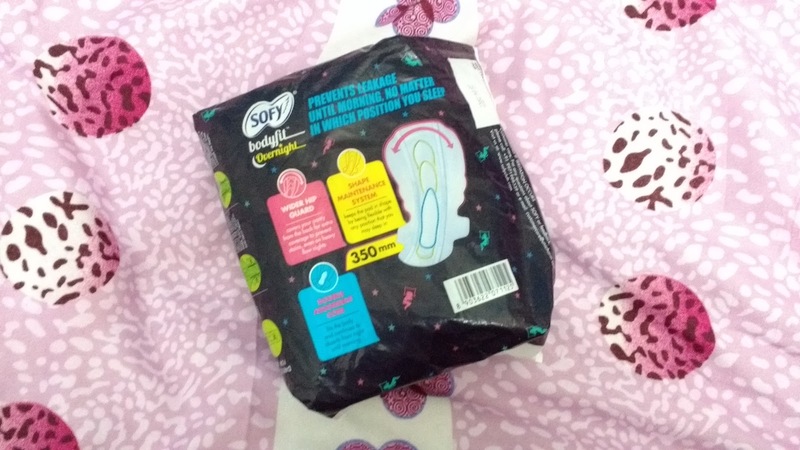 The packet contains 10 individually packed pads. The packaging is quite discreet which makes them perfect for carrying in your handbag. Overall, I totally love Sofy Bodyfit Overnight sanitary pads and highly recommend all women to try them out and witness their care for yourself. I am sure you'll equally love them! If you like to read more about it please see http://www.sofyclub.com/in/en/products/np_bfnight/index.html. You can also like their Facebook page. I have used the Sofy anti-bacteria range and quite liked them! Thanks for the review, will try these.